How to root Mito Fantasy Selfie 2 with the easiest Method – Mito, yes this is kind of Android phones. I don’t know whether this phone is available in the other countries except Indonesia or not, but in Indonesia this phone was popular enough. 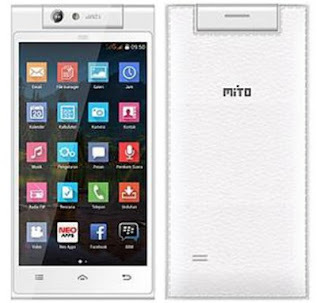 Mito released several phone in cheap ranges therefore there were many people in Indonesia bought it. In this post, we are going to root one of Mito phones it is Mito Fantasy 2, and we hope this article can be useful for anyone who needs this. Make sure your PC or computer connected to internet to ease in this rooting process because you have to download some files. Disable anti virus on your PC!, when it is active we guess your anti virus will block and catch root application. Download and install Kingoroot application on your PC that we’ve provided in this post. Enable USB Debugging mode on your phone! Then open Kingoroot application on your computer! After that you can connect your phone PC via USB Cable. Wait until installation driver is finish. Kingoroot application will ask USB cable to connect to PC again, just plug it to your PC via USB cable! Your phone will go to Fastboot mode, and it will reboot automatically for several times. There will a message that says to install driver on Fastboot Mode make sure the driver has been installed successfully). Kingoroot application will detect your MITO A330 as HTC Device (WT97057), no problem, this is normal as our wish. Belum ada tanggapan untuk "The Easiest Method to Root Mito Fantasy Selfie 2"